With over 81,000 members, VVA provides a community of fellowship with people who share your experiences, needs and hopes for the future. Join one of our over 500 chapters for fellowship, volunteer opportunities and community service. What does “active duty for other than training purposes” mean? It means the applicant completed the initial training required by the applicant’s branch of service and was found fit to be assigned to active duty for the remainder of his/her obligated service. In the case of an applicant who served in a Reserve or Guard component, active duty means that the applicant was called to federal active duty in a status other than active duty for training. What if I don’t meet VVA requirements for membership? If you don’t meet the regular membership requirements, you can join Associates of Vietnam Veterans of America (AVVA). 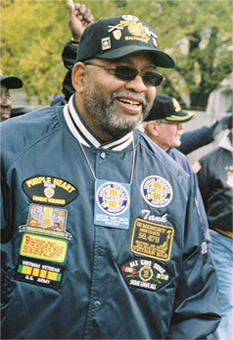 AVVA members include families, friends and supporters of Vietnam veterans, veterans from before and after the Vietnam era, as well as Vietnam veterans. VVA members can have dual membership in AVVA as non-voting AVVA members. Are DD-214s kept on file at the VVA National Office? VVA’s National Membership Department will not maintain original or copies of DD-214’s. The DD-214 is destroyed within 30 days of receipt. DO NOT SEND ORIGINAL. You can contact the National Archives Military Service Records to obtain a copy of your DD-214. If a VVA new member card is not delivered within a reasonable amount of time (after mailing), who should be contacted and what information is needed to resolve the problem? The VVA database is managed by the VVA Membership Department. Know the individual’s name, date submitted, and type of payment, and contact the Membership Department at 1-800-882-1316 or 301-585-4000 or email: membership@vva.org. You must submit a copy of your DD- 214 form along with your application and dues payment. I would like to renew my membership or upgrade to a Life Member.